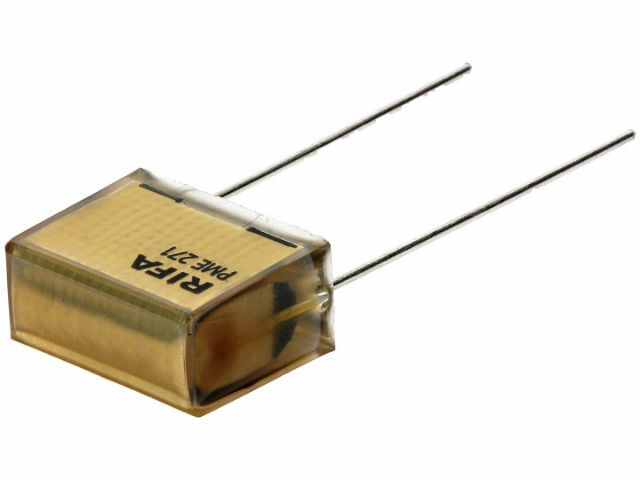 PME271Y series paper capacitors are Y2-class anti-interference capacitors from KEMET. The capacitors were made of multilayer metallized paper that was additionally impregnated. They are used to suppress electromagnetic interference in line-to-earth systems. Highest flammability resistance - UL 94 V–0.